Do You Know that you can search just the Tax Records on the site by using the Tax button in the Partitioned search engine at the bottom of the Current What's New Page? 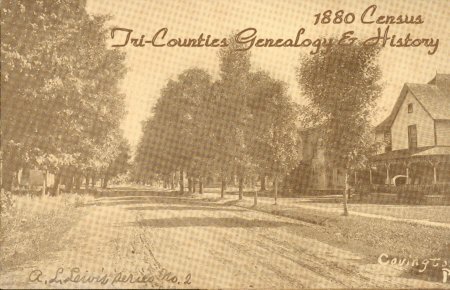 Tioga and Delmar were the only two townships in Tioga County in 1812. Tioga was roughly the eastern part of the county and Delmar the western. See Tioga County Township Formation to understand the relationship between the mother townships and those that exist today. The following information was taken from the 1897 Tioga County History pp 64-71. This was retyped for us by John Campbell. To it I have added a column for spouses and have included those that are in my Sullivan-Rutland Genealogy Project database. This does not mean that the spouse was living at that time or that the marriage existed in that year. Please inform me of any that you know, and also you may register your name as a descendant of any of the 1812 pioneer settlers. Saloma Daggett was second wife. First wife who left three small daughters unknown at this point. Power, Simeon (physician) 60 3 2 262 1.31 Simeon was a minister, Pliny was a physician. Is there an error here? Bacon, Ebenezer Cudworth, Paul, Jr. Kies, Jesse Rowley, Nathan, Jr.
Clark, John Ives, Benjamin Moss, Benoni VanCamp, James, Jr.
You are the visitor since the counter was installed on June 2, 1998.